A proposed hike in garbage bills will get a public hearing at Salem City Council next week. Staff reports released Thursday suggest the six garbage hauling companies are struggling in 2018. Art Kuenzi played a sort of garbage man’s roulette Thursday morning. Every blue recycling bin on Southeast 45th Avenue could be good or bad. Good meant flipping open a bin to find cardboard, newspaper or dry plastic milk jugs. Bad bins held soggy fast-food cups or cheap plastic packaging. Garbage haulers like Suburban Garbage Services say they are working hard to better inform people about what can or can’t be recycled, but even better practices don’t appear to be enough. 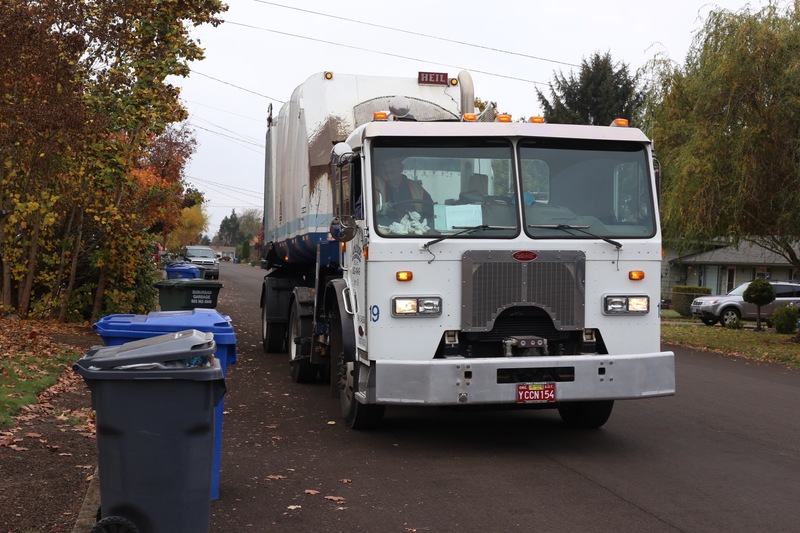 A little more than a year after the city of Salem set garbage and recycling collection fees for 2018 and 2019, falling profits have driven the city to consider a rate increase to keep haulers in the black. The Salem City Council will hold a public hearing on the proposal Tuesday. As proposed, most Salem residents in Marion and Polk counties would pay $2.85 and $3.20 more per month, respectively, if they use a 35-gallon bin, bringing the average, monthly bill to $29.50 and $23.85. Owners of 20-gallon bins would be billed slightly less, and 65-gallon bin owners slightly more. Increases will impact any person or business who pays a garbage bill. There were 41,000 customers in the city in 2017, according to city officials. Without the increases, Marion and Polk county residents would still see a previous scheduled increase of 60 cents and 25 cents, respectively. The new rate hikes are driven largely by recycling, which has become increasingly expensive after China in late 2017 stopped importing paper and plastics from around the world. Processors like Garten Services in Salem, which sort and sell paper, plastic and other commodities to markets like China, have seen their business upended. They have since raised their fees to haulers, who are now passing the costs to customers. Art Kuenzi, vice president of Suburban Garbage Services, examines a recycling bin on Southeast 45th Avenue on Thursday morning. He said his company has struggled in 2018. 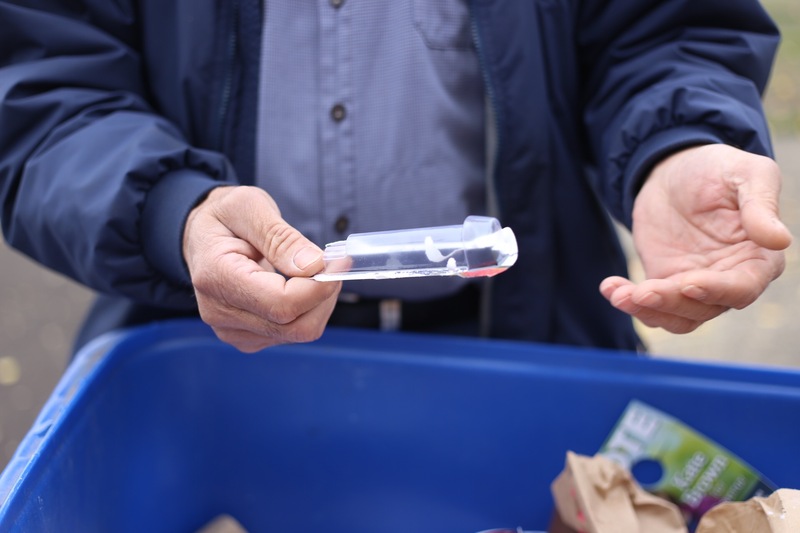 Kevin Hines, general manager for the Mid-Valley Garbage & Recycling Association, said he well understands the monthly increase could be jarring to residents. The association represents Salem’s six hauling companies. Staff reports made available by the city Thursday show local garbage haulers have struggled since China’s decision. Collectively, haulers’ pre-tax profits are down 3 percent on the year — from an 8-percent profit to a 5 percent profit — and could drop to 3.4 percent next year, according to the report. That drop could be even more pronounced for haulers in West Salem. The two haulers who haul garbage and recycling there could barely break even next year, the report said. Haulers also contend that gas prices have risen, as have the costs to dispose at Coffin Butte for haulers in West Salem, the report said. The city retained the firm Bell & Associates to review the haulers’ private financial information and confirm the need for proposed rate increases. Much of the profits are being whittled by costs charged by processors like Garten. Haulers used to be able to get paid a 33 cent-per-ton incentive from Garten, which has since flipped into a $80 per ton charge, the report said. Kuenzi, of Suburban Garbage Services, said the company went from making $20,000 from Garten last year to paying the company $140,000 this year. Meanwhile, Salem has obligations to consider. State law mandates local governments provide waste services in some capacity to residents. Most municipalities in the western United States contract service out, according to the Oregon Refuse and Recycling Association. Those contracts — also known as franchise agreements — sometimes specify a profit margin for the hauler. Beaverton and Gresham, for example, ensure by city code that their waste haulers should make 9 and 10 percent, respectively. Salem has not codified margins, but franchise administrator Ryan Zink said the city targets a 10 percent margin because it’s an industry standard. He said doing so relieves costs from the city. “Salem’s haulers have the experience and knowledge to provide safe, sanitary and efficient collection, transportation and disposal of garbage, and provide recycling services,” he said in an email. “If Salem’s haulers are not able to run profitable businesses, their ability to provide these services could be compromised.